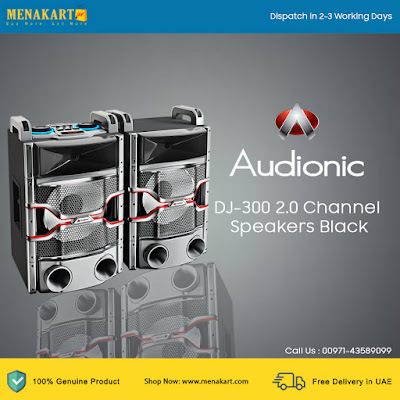 Audionic DJ-300 2.0 channel support speakers are specially made for the users who intend to spend their quality time on DJ and party music. It is available in black color; the color itself delivers value to the user in its own way. The bold reddish circle marks outside the speakers makes the overall speaker outlook transparent and beautiful. It is designed to deliver durability, flexibility and outstanding audio performance with exceptional sound quality.